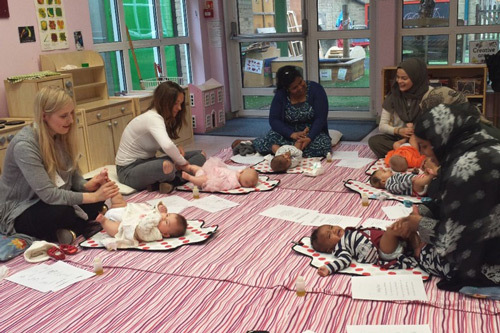 The REACH Pregnancy Programme, which involves researchers from City, University of London and other institutions across the capital, has been shortlisted for the prestigious Royal College of Midwives Innovation Award. The project aims to improve access, value and experience of antenatal care (ANC) for socially disadvantaged and ethnically diverse communities who experience some of the worst birth and infant outcomes in the UK. The overall programme is led by Professor Angela Harden at University of East London and other project partners include Queen Mary, University of London; University College London (UCL); and Barts Health NHS Trust. The REACH Programme includes two large trials, two reviews, and other work within three work packages. Specifically City researchers are contributing to the Pregnancy Circles component, which involves group-based ANC to enrich care and build social networks. The expectation is that may not only reduce inequality in antenatal access and experience, but also result in better maternal and infant outcomes such as improved perinatal mental health and reduced rates of pre-term birth and low birth weight. Led by Professor Christine McCourt, Professor of Maternal and Child Health in the School of Health Sciences at City, the City research team also includes Octavia Wiseman, research assistant; Juliet Rayment, research associate; Giordana da Motta, PhD student and Sidera Tahir, masters student. Professor McCourt is also involved in all other aspects of the REACH programme as an investigator. However, more evidence is required to assess the outcomes and there are currently 72 women involved in four circles which are on-going or completed as part of the feasibility study, with a pilot trial commencing in January 2017 and a full randomised-controlled trial planned for 2018-19 with around 2120 women and 106 circles. “It’s great that the RCM has recognised the significance of the REACH project, as it has huge scope to not only improve access to antenatal care for pregnant women living in areas with high levels of poverty and ethnic diversity, but also enhance the value and experience of such care. This news release summarises independent research funded by the National Institute for Health Research (NIHR) under its Programme Grants for Applied Research (PGfAR) Programme (Grant Reference Number RP-PG-1211-20015). The views expressed are those of the author(s) and not necessarily those of the NHS, the NIHR or the Department of Health.